Former Texas Gov. Rick Perry voiced his concerns about the Obama administration's stance on trade with Cuba and China at the Iowa Ag Summit Saturday. "The administration basically empowered the Castro regime with no thought about helping the people," Perry said to summit host Bruce Rastetter. "I think we got a bad deal. The people of Cuba got a bad deal." The former Texas governor also conveyed his frustration over the 2014 prisoner exchange for USAID subcontractor Alan Gross, who had been sentenced to 15 years in prison by the Cuban government in 2011. "We traded Mr. Gross for three Cuban spies," the potential 2016 Republican candidate said. "In my opinion, we got the way short end of that deal." In response to Perry's criticism, Rastetter asked about the difference in relations with China, with regards to human rights issues associated with trade. "What we see with China is they basically practice communism at night and capitalism in the daytime," Perry said, amid audience laughter. "There is an opportunity for us, through trade, and for our ability to influence that country to really be engaged with them and to change the culture." In addition to trade, the former governor addressed a variety of topics, including the Renewable Fuel Standard, immigration policy and genetically modified food labeling. 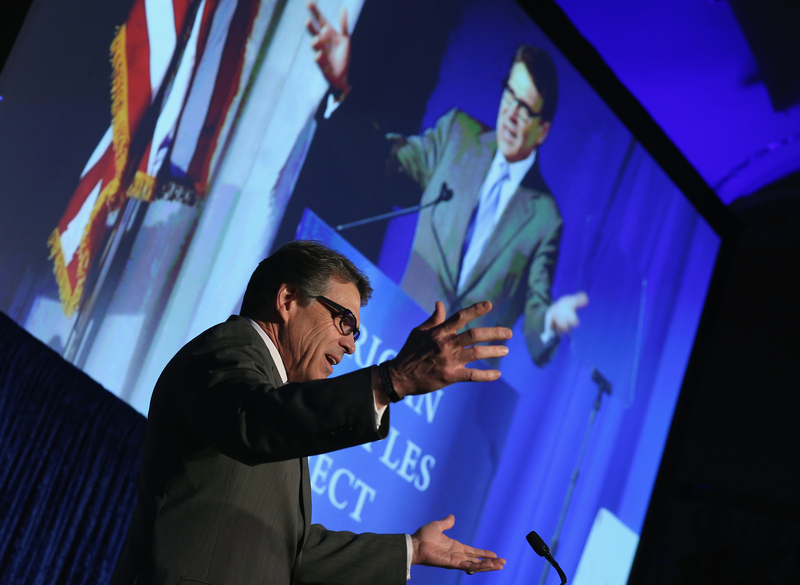 Perry presented strong criticisms of Washington, emphasizing the importance of state approaches to energy, food regulations and immigration. Perry referenced his experience as agriculture commissioner, Texas governor and a farmer several times during the conversation to provide legitimacy to his claims. At the end of his sit-down interview, the former Texas governor's stance on Cuba was clear: "I'm not sure you're ever going to change the culture of Cuba until Castro is dead and gone."